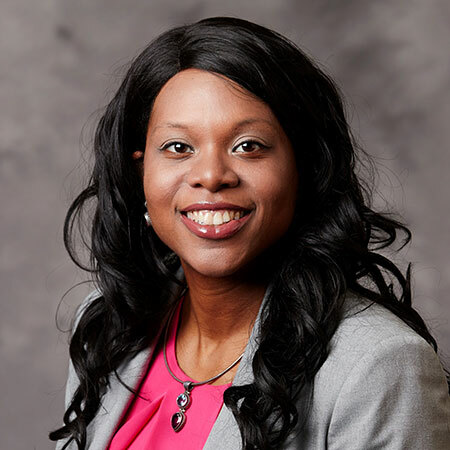 Kimberly Kendricks is the Director of Strategic Initiatives for Faculty Success. As part of the Office for Faculty Affairs, Dr. Kendricks works with faculty, staff, and academic and administrative units to strengthen and enhance university services and resources that support faculty success and career advancement. Prior to joining UNLV, Dr. Kendricks was Chair of the Dept. of Mathematics and Computer Science and Director of the Center for Human Performance and Sensor Applications at Central State University in Ohio. In her tenure at Central State University, she served as the Principal Investigator or Co-Principal Investigator for over $4.5 million internally to the university, and a sum total of $8.2 million collaboratively with neighboring institutions. For the mathematics classroom, she worked diligently to increase the success rate of students taking College Algebra, Trigonometry, Calculus, and Differential Equations. Dr. Kendricks has a sincere passion for mathematics and mathematics education. Through her success in the mathematics classroom, Dr. Kendricks led a National Science Foundation (NSF) grant program to guide the success of high achieving students in STEM and published the results of this program in peer- reviewed journals. For her research, which is supported by the National Science Foundation, the American Society for Engineering Education, the National Signature Program, and Clarkson Aerospace Engineering, she takes mathematical theories and applies them to real world problems in robotics and gait analysis. For example, she applied Groebner Basis Theory to a U.S. Department of Defense gait study project at Wright Patterson Air Force Base, and expanded her research concentration to the areas of situational awareness and threat prediction. Dr. Kendricks also served for four years on the governing board of the Dayton Regional STEM School, and collaboratively worked with the Air Force Institute of Technology, Wright State University, and the University of Dayton to promote the advancement of women faculty in STEM through an NSF-ADVANCE program from 2008-2011. In 2009, she was selected to participate in the National Science Foundation’s Leadership Development Institute which shaped and supported her future pursuits in the academy. In 2010, she was selected to participate in the American Association for Colleges and Universities’ Preparing Critical Faculty of Color Project, to develop her leadership skills particularly for undergraduate STEM education, and in 2013, participated in the Executive Leadership Academy for Technology and Engineering, program to further develop the leadership skills of high performing STEM women faculty. Dr. Kendricks received both her Ph.D. and M.S. degrees in Mathematics from Auburn University in Auburn, AL and her B.S. in Mathematics and B.S. Business from the University of Pittsburgh in Pittsburgh, PA.